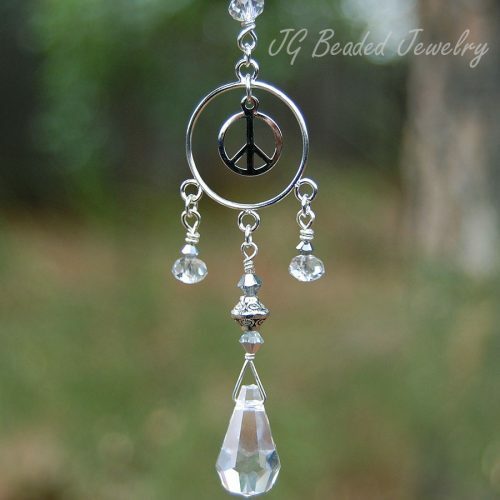 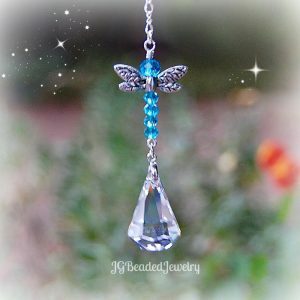 Dragonfly crystal for the rearview or window! This black dragonfly suncatcher is uniquely designed for the rearview mirror or home decor. 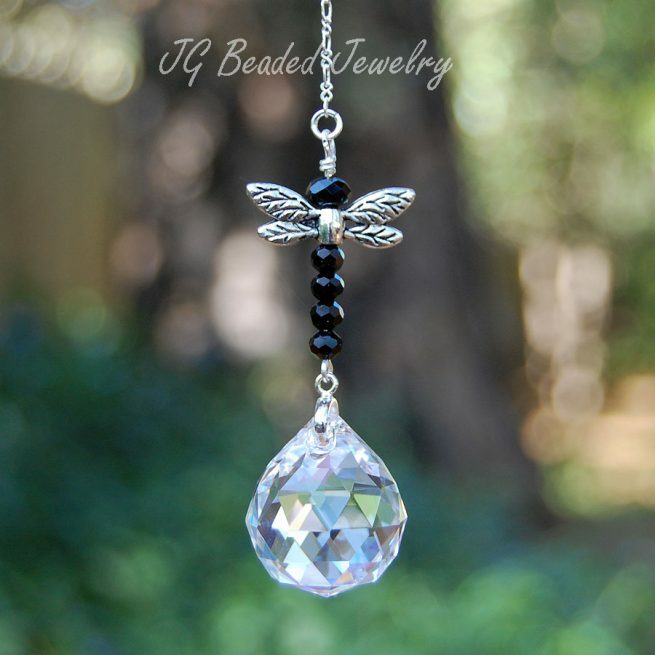 It is created with a 20mm prism crystal that hangs securely on a silver bail, faceted black crystal beads and silver dragonfly wings.